Murdered: Soul Suspect tells the intriguing story behind Detective Ronan O'Connor's death, all wrapped around a ghostly and spooky universe, filled with stories and events that will complete Ronan's adventure in the town of Salem, Massachusetts. While the ghosts stories add to the frightening aspect of Salem and its legends, and Ronan and Julia's stories scattered around the town add to the complexity of the story's main characters, there is little to do around the town apart from collecting things, which is such a disappointment since Salem is a great place to explore and finding a few more things to distract you from your main objective along the way would increase the length of the overall campaign and make the experience feel more diversified, because as it is, you can easily complete Murdered: Soul Suspect's campaign in less than six hours, adding a few more if you're willing to collect everything and complete the few available side quests for the restless souls. Speaking of those restless souls, you are not the only soul in Salem trying to find eternal peace, as you will find people with different problems around Salem, but sadly you can only interact with a few of those, as most of them will feel like pointless NPCs as they only have one line of dialogue, even if their stories had some great potential for a follow-up side quest. 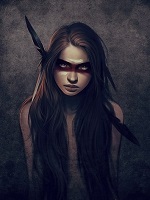 While Ronan's story is definitely an unique experience, as the whole adventure takes place after his death, trying to find eternal peace by solving his own murder, the way in which it is told makes it obvious to draw a conclusion before your character does, making what lies ahead story-wise foreseeable from a mile away. There are still some great twists in the story, but the moment those will happen in your head do not coincide with the moment they will happen on screen, making them less enjoyable as you will already know what is about to happen from the very first moment you step into a new location, and the only surprise will come from clues that you will often find at the crime scene giving you the impression that there is more to it, but in the same sense of disappointment in most cases those are there only to fill the space. Murdered: Soul Suspect goes for a simplistic gameplay, trying to be easy to pick up and play, and on that side it succeeds as almost anyone can get into the action after just a few quick tips. For most of the campaign, you'll be wandering around looking for something or making your way towards the next objective while following the basic rules of being a ghost: you can pass through anything, as long as it's not part of the spiritual world in which case that particular object will be highlighted using a pleasant light blue colour, just as anything else around the spiritual world including the ghosts themselves. The game does a great job combining those elements, leaving you to experience the thrill of being a ghost by passing through walls and objects while still limiting your access by using spiritual objects in order to create puzzles and hidden areas. The interesting concept comes in the form of investigation scenes, where you will look around for clues and connect those to answer different questions that will lead you towards your next objective, even though for most cases the item that will answer that question will be the most obvious one. 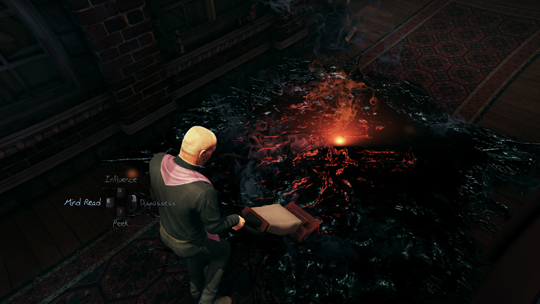 While combat is certainly not the main focus of Murdered: Soul Suspect's gameplay, you will have to fight demons from time to time, as the mechanic used in those encounters is annoying and boring at the same time, forcing you to sneak behind those demons and use a quick time event to defeat them and jump from one hiding place to the next one if a demon spots you until it will eventually stop looking for you, the game would've probably been better without those sections. 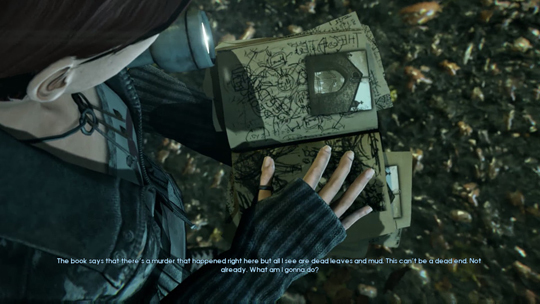 The main problem with Murdered: Soul Suspect's simplicity is that it takes away any sort of challenge, as solutions for puzzles will be more than obvious and the combat will feel boring once you get the hang of it, since it only requires you to sneak up behind your enemies without being seen, which isn't hard to do at all; once you realize that is all there is to the gameplay, it does become boring and repetitive, and there is no higher level of difficulty to turn it up a bit, even with the broken mechanics. 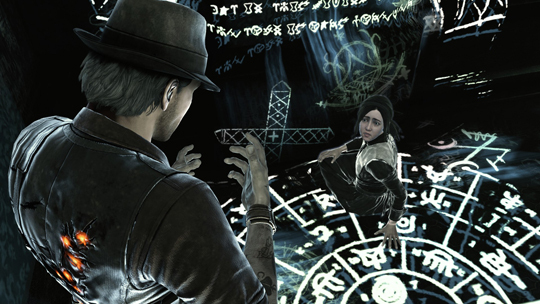 Murdered: Soul Suspect is a pretty game and Salem is a perfect fit for its ghostly story, as it's full of historical landmarks filled with opportunities to make things scary at times, but even with all the ghosts and history, Salem ultimately fails to impress due to the lack of life, and that's not even a reference to the spirits, as the living people of Salem are just as dead as the spirits when you approach them. There are countless clones of people around Salem that will all give you the same lifeless dialogue line, and even when you do encounter a restless spirit such as yourself, the level of interaction is kept to a minimal. The character design and effects are okay, but facial animations can be messy at times, even when you're looking at some of the main characters; as for the secondary ones, let's just say they are way worse. The spooky tone of the game is kept in place with a great soundtrack and combined with the audio effects of abilities and other ghostly objects it manages to come pretty close to a scary experience, especially in natural spooky places such as a mental asylum or a cemetery. The voice acting is okay for most parts, some of the main characters such as Joy profiting the most from it, but it's hard not to notice the limited dialogue in conversations or the completely wasted Mind Read ability that will only provide you with a pointless sentence. The narration of those ghost stories is the greatest part as it will feel naturally scary, but since those are only a reward for collecting a number of items, not all players will get to experience that scary aspect of the game, as the main campaign feels left out from that perspective. 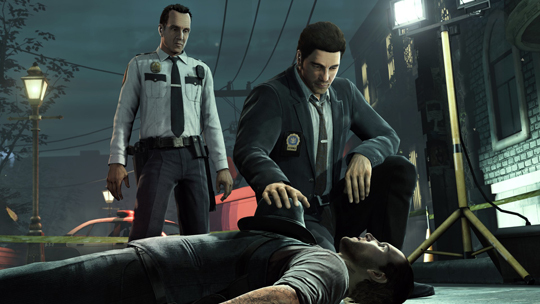 It takes no more than six hours to complete Murdered: Soul Suspect if you're only focusing on the main objectives; combined with the search for all the collectibles and the four side quests helping restless souls find peace, maybe it can add up to ten hours total, but once that is done, there is absolutely nothing else to do, as there is no other mode to keep you busy or reasons to revisit the campaign any time soon. It's such a shame that the world around Ronan's story isn't developed to its full potential as it's dragging you away from the main experience that is, with its flaws, a great story, rather than letting you enjoy what is actually fully developed, but in an open world such as this, it's impossible not to stop by and see what else there is, and five minutes later be disappointed because there was nothing else.